Back in September 2007, the Estádio Governador Magalhães Pinto, more commonly known as the Mineirão, played host to the Clássico Mineiro. Within the boundaries of Belo Horizonte, Brazil’s sixth biggest city, Cruzeiro squared up against bitter local rivals Atlético Mineiro and tensions, alongside temperatures, were running high. Billed as the ‘next Ronaldinho’, A Foca (The Seal) continued his annus mirabilis by earning a debut appearance for Cruzeiro. With fans and the media rhapsodising his every kick of the ball by this point, interest in the precocious talent was also rife. Manchester United, Real Madrid and Barcelona were all astutely aware of Kerlon’s exploits and had been scouting him, leading to rumours of an imminent €25m transfer across the Atlantic. A Foca played three seasons at La Bestia Negra in total before securing his eventual move to Europe. The suitors were Internazionale; however, such was the complexity of the deal, Kerlon found himself originally signing for Chievo. The Nerazzurri completed the signing via their Veronese counterparts due to a lack of space on their non-EU quota but were assured the player was worth a season’s wait by his notorious agent, Mino Raiola. The measly €1.3m fee for 80 percent of Kerlon’s contractual rights, however, was an indication of his decline. Exiled and desperate to rekindle the kind of form that had seen him heralded as Brazil’s future saviour, he headed back to his native peninsula. Paraná Clube were the latest club to take a gamble on his waning ability, agreeing a loan deal a day before Kerlon’s 23rd birthday. Alas, this proved to be yet another false dawn. Miami were only founded a year prior to Kerlon’s arrival, yet its convenient location, coupled with a plethora of South American teammates, helped the midfielder feel right at home. 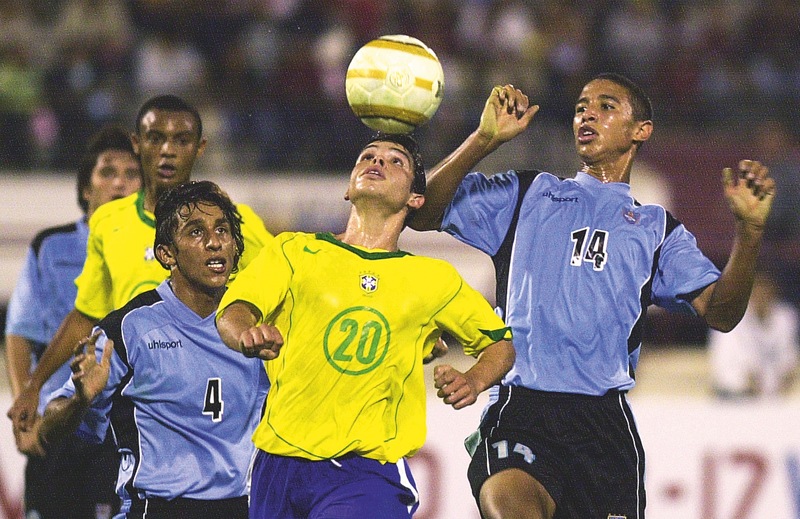 Playing at St. Thomas’ University stadium – with a capacity of just 2,444 – it was a far cry from the Clássico Mineiro, but at this point just playing competitively was enough for the 27-year-old. Stints in both Malta and a third spell in Brazil have passed Kerlon by since. Now 30 and retired, the nomadic journeyman and once enigmatic prodigy last represented Slovakia’s Spartak Trnava in a handful appearances before accepting the inevitable.